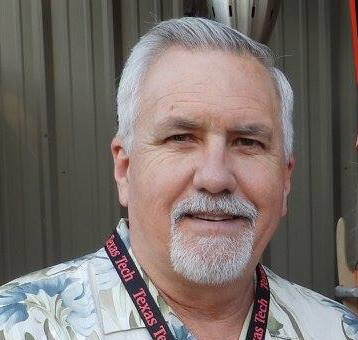 Steve has over 35 years of experience in the Theatrical rigging and lighting field. He started in 1979 with Texas Scenic after receiving his Theatre degree from Texas Tech Univ. He left Texas Scenic in 1985 to pursue his love of Stage and Architectural Lighting. Over the next 18 years he was VP of Sales for "Colortran", VP of Sales for "Irideon" a Vari Lite Company, and Director of US Sales for "ETC". He returned to Texas Scenic as the COO / General Manger in 2003. Steve has been involved in a number of key projects around the World. From major Show Rooms in Las Vegas, Siegfried & Roy, Treasure Island; to Major Performing Arts Building, Gaillard Center for the Arts, Dallas City Performance Hall; to Architectural Lighting installation in London and Hong Kong to name a few. During his career he has worked FOR and WITH many talented Designers, Owners, Managers, and Employees that have kept him young at heart, motivated to work hard every day and excited to see what tomorrow brings.